Ready to Up Your Eco-Friendly Game? Many people shy away from composting because they assume it’s a complicated process. But you really only need two things to start composting at home: a spot for your compost pile and a mix of waste materials to build from. While there’s a little more to the process, composting is extremely simple once you get started. 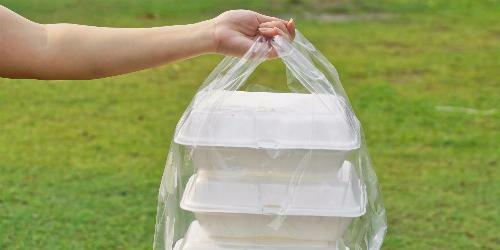 Plus, it can make a huge difference in how much waste you send to the landfill each week. Ready to jump in? First, we’ll go over the materials you’ll need to create your compost pile. Then, we’ll walk you through how to build your pile step by step. 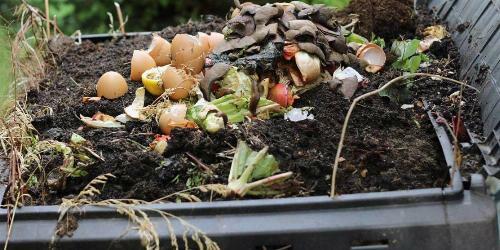 What Should Go Into Your Compost Pile? 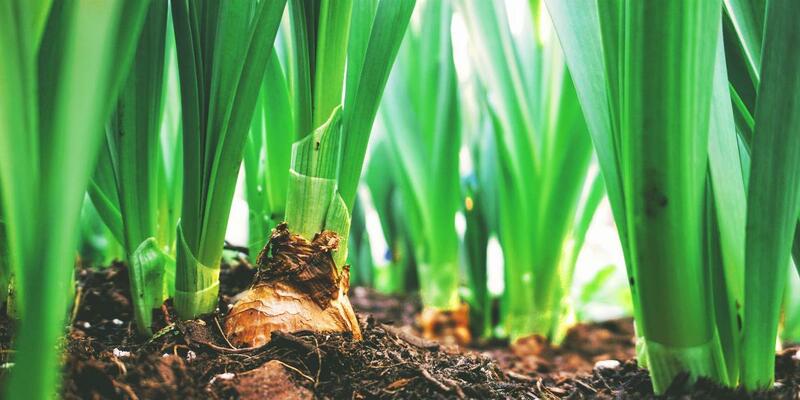 To kick-start the home composting process, it’s best to have a good ratio of carbon-rich “brown” materials to nitrogen-rich “green” stuff—this creates the most hospitable environment for the microorganisms that will turn your scraps into compost. Type of Waste Brown or Green? *There are plenty of things not listed in this table that are also compostable. Check out this list of 100 household items you can compost. Once you’ve started composting at home with the right mix of green to brown, you don’t have to worry too much about maintaining that ratio over time. Your materials will still eventually decompose into compost—they’ll just get there faster if you stick to the ideal ratio. To make it easier to turn kitchen waste into compost, stash a covered pail under your sink or next to your trash can so you can drop in scraps as you cook and clean up after meals. Every week, just empty those scraps onto your compost pile while you’re taking out the trash. Inorganic materials like plastic, glass, metal etc. Once you’ve gathered your starting materials, you’re almost ready to get down to business. But first you’ve got a decision to make. People with lots of space often choose an out-of-the-way spot on their property to create an open compost pile. People with smaller properties typically go with an enclosed bin to keep everything neat and contain any odor. Bins are also a good way to keep pets or other wildlife out of your pile. Enclosed bins: These are simple rectangles or cylinders (usually plastic) that keep your compost pile out of the elements while helping it heat up. You’ll have to use a shovel or garden fork to turn the pile when needed. Rolling bins: Handy for people with large properties, these can be rolled to wherever the waste is, then rolled back out of sight. Instead of turning the compost with a fork, just give the bin a good roll. Tumblers: A bin mounted on an axis, with a crank for easy turning. This is one of the most popular styles of home composting bin. Worm bins: Also called vermicomposting bins, these are ideal for apartment tenants or homeowners with limited outdoor space. Redworms are placed on the bin’s bottom tray and all trays are filled with food scraps which the worms will migrate through. Ginny Black, of the Minnesota Compost Council, mentions another point to consider before choosing a rolling bin or tumbler. "My only caveat is that these can be quite heavy and difficult to roll or turn. Especially if the "proper" moisture level is maintained." If you don't have great upper body strength, Black recommends that you choose a different type of bin. Made your decision? Time to get your hands dirty. Building your compost pile is a quick and simple task. Here are all the steps you need to follow. Do a little prep work: Set up your compost bin, if necessary. If you’re building an open pile, choose an area about 3 feet long by 3 feet wide. Don’t put anything down as a base; let your pile rest directly on the ground. Put down a layer of brown material, several inches deep. On top of that, put down a layer of green materials, several inches deep. Sprinkle on a thin layer of soil. Add another layer of brown materials. If necessary, keep adding alternating green and brown materials until the pile is about 3 feet high. Dampen the entire pile with a garden hose. Compost accomplished! Keep adding waste materials to the pile each week and let time and your friendly neighborhood microorganisms do their thing. Want to Invite More Microorganisms to Your Pile? Taylor Martin at CNET recommends pouring some Coke onto your compost pile. The sugars in Coca-Cola--or whatever soft drinks your refrigerator holds--attract microorganisms. The acidity in the drink will also help speed up the breakdown of the materials in your pile. Every few weeks, you may want to “turn” your pile by mixing it around with a garden rake or shovel (unless you have a tumbler bin to do this for you). This isn’t required, but it will speed up the process by adding oxygen to the pile. As you turn, you might see steam or notice worms squirming through the debris—both of these are normal and signs that your compost is progressing. “Odor would be the first sign of problems with the compost pile. This generally means that the pile is too wet, the spaces in the compost pile have been filled up with water and there isn't enough air for the microbes. Turning the pile will create air space and add air, eliminating the odor. When Will Your Compost Be Ready? Depending on what you’re adding to the pile and the ratio of green to brown stuff, it can take between three months to a year for your waste to become compost. Once the minimum time has passed, start checking the bottom of your pile. When you find a crumbly, black, somewhat sweet-smelling substance, you’ve got compost. You can start shoveling it out from the bottom to use on your garden or lawn while you continue to add scraps to the top of the pile to keep the cycle going. Want to Speed Up Your Compost? Composting at home is a simple and satisfying way to reduce waste and grow yourself a jealousy-inducing garden at the same time. Decided to go for it? What kind of garden are you planning to grow?